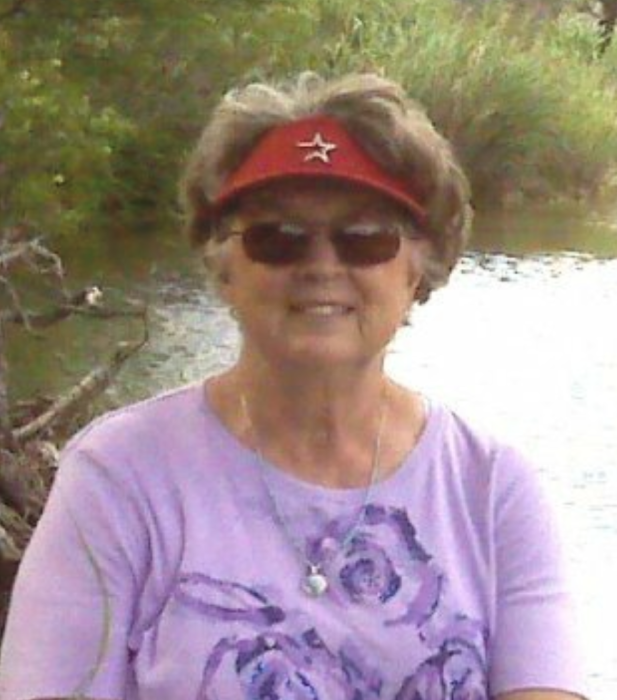 HITCHCOCK – Mrs. Joetta Jessica (Jones) Scarborough passed from this life Tuesday morning, March 26, 2019, in Webster. Born January 20, 1946 in Dallas, Texas, Mrs. Scarborough had been a resident of Hitchcock since 1999, previously of Missouri City. Joetta was a former Kindergarten teacher in Houston and Missouri City, as well as Our Lady of Lourdes Catholic School for 14 years. She was a Member of Our Lady of Lourdes Catholic Church, the Guadalupanas and the Saltgrass Potters. She enjoyed raising chickens, making clay pottery, but most of all, she loved her family. She was preceded in death by her parents, Ancil Arthur and Charloise Lu (Hufstedler) Jones; brother, Dwight Jones; niece, Kelly Jones. Survivors include her loving husband of over 51 years, Tom Scarborough; sons, Thomas “Tommy” Scarborough, II and wife, Staci of Monument, Colorado, Marc Scarborough and wife, Michelle, of Humble, Texas, Joseph Scarborough and wife, Ana Fallas of Houston; daughter, Susanna Trigo and husband, Johnny “Angel” of Hitchcock; 10 grandchildren, Anthony, Zachary, Madeliene, Isabel, Shayla, Matthew, Kylee, Malcolm, Joey, II and Scarlett; brothers, Robert Jones and wife, Mary of Dallas, Keven Jones of Dallas; nephew, Kyle Jones. A Funeral Mass will be celebrated 10:00 a.m. Saturday, March 30, 2019, at Our Lady of Lourdes Catholic Church with Reverend John Kappe, Celebrant. Interment will follow at Hayes Grace Memorial Park Cemetery. Casketbearers will be Anthony Scarborough, Joseph Scarborough, Malcolm Scarborough, Marc Scarborough, Matthew Scarborough, Thomas Scarborough, Zachary Scarborough and Angel Trigo. Visitation will be held from 5 - 8 p.m. Friday at Hayes Funeral Home, 10412 Highway 6, Hitchcock, TX (409) 925-3501, with a Vigil Service beginning at 7:00 p.m. with Deacon Alvin Lovelady officiating. A Rosary will follow recited by Don LeCompte. Memorials in the form of donations may be made in Joetta’s name to Our Lady of Lourdes Catholic School, 10114 Highway 6, Hitchcock, Texas 77563 or Texas Oncology Foundation, 501 Medical Center Boulevard, Webster, Texas 77598.